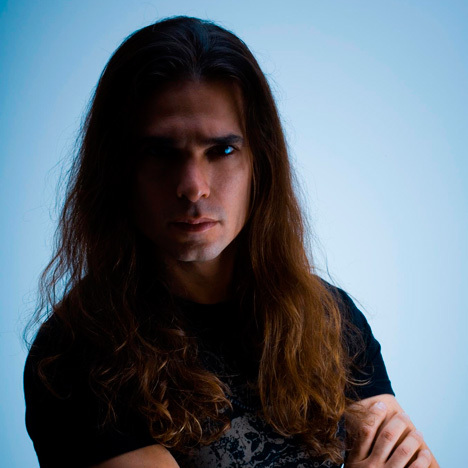 Kiko Loureiro was born in Rio de Janeiro, but grew up in São Paulo, the largest metropolis of South America. One of the most internationally recognized Brazilian guitarists, he is probably the most influential one for a whole generation of musicians in Brazil, either playing with the band that opened doors to his success, the progressive metal ANGRA, or as a solo artist. Kiko´s love for music came naturally, before studying any instrument. At an early age, he was already an attentive listener and a curious researcher, who loved spending time in the school library, admiring its vast collection of music. At the age of 11, he was offered acoustic guitar lessons and from this moment on, he never stopped. He found his true calling to be a musician a few years later, when discovering the world of progressive and heavy rock, jazz and fusion. Kiko was truly fascinated by the music of Scott Henderson, Jeff Beck, Jimmy Page, Van Halen, Black Sabbath, Metallica, Paco de Lucia, Herbie Hancock, Pat Metheny, Astor Piazzola, Hermeto Pascoal and felt these artists had showed him the inspiring tools to embark on a wonderful journey that would make him a musician to transcend genres. At this point, Kiko decided to focus his studies on the electric guitar, leading to endless passionate hours of practice. He never abandoned the acoustic guitar though, and in his 20´s started also to explore the piano, an instrument helping him to achieve more advanced rhythmic and harmonic sensibility. In Kiko Loureiro´s music, we find a musician of great feeling with a modern style and improvisation full of creativity, betting on rich and beautiful melodies with which we can walk through his influences in a sophisticated way. A fusion of heavy and progressive rock with the harmony and rhythm of the Brazilian music, combined with a touch of jazz. Kiko´s work is permeated by versatility, embracing the rich palette of the world of music. In 1993, at age 21, Kiko Loureiro recorded “Angels Cry”, his debut album with Angra. Recorded in Germany and released worldwide, the album was very well accepted especially in Japan where received the gold record award after selling over 100,000 copies. “Holy Land”, Angra’s second album, was released in 1996 and achieved excellent repercussion that added to the previous success of “Angels Cry”, enabled the first world tour and recognition as one of the most important bands of the precursor genre Prog/Power Metal from Brazil. In the same year was also released the EP “Freedom Call” where the highlight would be the track “Reaching Horizons”, the group’s first demo. The result of the tour was so significant that the band released “Holy Live”, the first live album recorded in Paris, in 1997. After pausing for two years, Angra releases “Fireworks” in 1999 and takes a break again due to a change in line up. In 2001, after the release of “Rebirth”, the band leaves on a world tour, releasing the CD/DVD “Rebirh World Tour” and the EP “Hunters And Prey” in 2002, stopping in 2003 for the composition process of the record that would be the most relevant to the group entire career – “Temple of Shadows”, which was released in 2004 and won numerous awards worldwide. In the meantime, Kiko Loureiro officially starts his solo career with the release of debut album “No Gravity”, also in 2004. Kiko was already a respected and well-known musician, collecting highest rankings in countless polls as “Best Guitarist”, also receiving a gold record for his work with the progressive metal band Angra. Kiko has landed the cover of the Japanese magazine Young Guitar several times and received great reviews in many of the world´s best publications, magazines such as Guitar and Bass (France), Guitar Axe (Italy), Guitarist (UK), Guitar Player (USA & BRAZIL), and so on. “No Gravity” was recorded in Germany at the House of Audio studio, produced by Kiko and the renowned Dennis Ward. The guitarist also plays the bass, the keyboard and percussion on the album. The drums are performed by the virtuous Mike Terrana. “No Gravity” is until now considered as Kiko Loureiro´ seminal album, the centerpiece that would open the world´s gates to Brazil´s finest guitarist. “The releasing of No Gravity represents to me the achievement of a dream, the moment in my life I could put together in the shape of songs, everything I´ve always loved in music.” In 2006, Kiko released his second solo album, “Universo Inverso”, another masterpiece recorded in only three days, counting on some of the highest profile jazz musicians of Latin America, Cuban pianist Yaniel Matos, drummer Cuca Teixeira, the bass player Carlinhos Noronha, and the percussionist Maurício Alves. “Universo Inverso”, was a huge success, being released in South America, USA, Asia and Europe. In that same year, after the worldwide release of “Aurora Consurgens” – sixth studio album from Angra, Kiko Loureiro is voted Best Guitarist in the world by the important Japanese magazine “Burrn!” In 2009, a new release: the heavy and progressive “Fullblast”, considered as “a great instrumental journey to fans of Satriani and Santana”, an album with regular breakdowns of a jazz and Latin feeling, counting on excellent background musicians, Felipe Andreoli on the bass, Dalua on the percussion, and once more the special guests Cuban pianist Yaniel Matos and the American drummer Mike Terrana. Almost simultaneously with the release of “Fullblast”, Kiko Loureiro presents his new project: Neural Code. In partnership with the drummer Cuca Teixeira and the bassist Thiago Espirito Santo, the three musicians reunite and explore all their musical knowledge about Rock, Jazz and several Brazilian rhythms recording an instrumental album that would be very well accepted by fans and musicians. In 2010, Angra releases “Aqua” and takes another break after a series of concerts in Brazil and overseas. 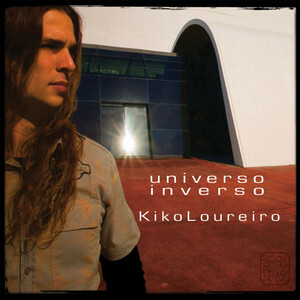 “Sounds Of Innocence”, fourth solo album of Kiko Loureiro, released in 2012, has Felipe Andreoli on bass, Virgil Donati on drums, and also other renowned guest musicians. Recorded in Brazil, United States, Germany and Finland, the record had a great repercussion especially in Japan, where the Power Trio was invited to do live performances. The album is a mix of Instrumental Prog Metal, Jazz, Rock, Blues and many Brazilian rhythms where Kiko Loureiro shows all his musical experience. Kiko Loureiro is a tireless and complete musician who is not afraid of always discovering new, someone constantly working to evolve the improvisational and sonic potential of his instrument.